Available in white or black pre-inked board. Simply coat the white board with your desired paint/ink medium and scratch to reveal the white board underneath. 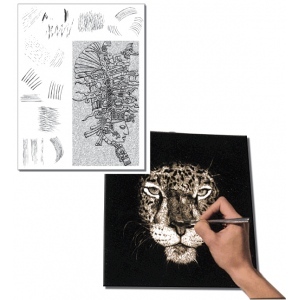 Or use our pre-inked board and simply scratch away the black top coat with scratch knife to reveal your artwork in white.